Here at Integrated Medical Group, our chiropractic team of health professionals is pleased to offer an array of natural techniques to assist each patient in achieving optimal health and wellness levels. With 17 years of expertise, our chiropractors in Glen Carbon use integrated chiropractic techniques that are non-invasive to help promote pain relief and faster healing from injuries and degenerative conditions that affect the body. Our mission is to help you live the best life possible, and that is why we offer several innovative chiropractic techniques that many other chiropractors simply don’t have the skills or equipment to utilize just yet. 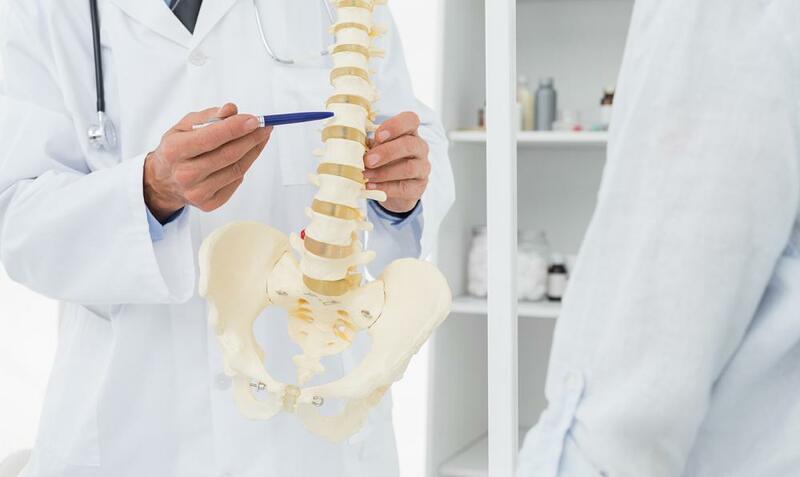 We take great pride in the extensive experience of our chiropractic team and their efforts to be on the cusp of the latest innovations in holistic care. Recently, we expanded our services to include a variety of new techniques including the following. Infrared Light Therapy - Similar to cold laser therapy, infrared light therapy has unique benefits that exceed cold laser treatments. Light therapy is excellent to treat muscle damage, inflammation, and wounds such as burns and certain skin conditions. This therapy is growing to become a valuable asset to chiropractors who work with athletes due to its ability to enhance post-exercise recovery and enhance muscle contractibility. Manipulation Under Anesthesia - Also known as MUA, this unique therapy involves what we call ‘twilight’ sedation. This relaxes the patient's body to a point where they are more susceptible to allowing a chiropractor complete freedom to perform precise adjustments to address specific issues without the patient tensing up due to reflex motions. Our chiropractor can then work the body through passive ranges of motion and break up adhesions and make corrections to the spine. DEXA Scanning - With our specialized laboratory equipment, we can now offer DEXA scanning which is one of the most modern ways to test patient’s bone density. Essentially, this is a dual energy x-ray absorptiometry test to see whether or not a patient is suffering from degenerative conditions such as osteoporosis. This test is ideal for those suffering from bone fractures to give us a good ideal as to whether or not you are likely to develop future fractures in the body. Acupuncture Including Auriculotherapy and Acu-Staple - Acupuncture is one of the most natural and effective ways to remove hindrances in the body’s natural functions and to promote healing. However, we offer two specialized methods of this ancient healing craft. Auricular therapy treats dysfunctions and symptoms in the body by administering pressure to specific points of the ear. We also use Acu-Staple on the ears, which has an 80% success rate to help patients deal with issues that are not chiropractic related such as smoking cessation, weight control, addictions, and stress. We are always grateful for the helpful feedback and suggestions we receive from our patients. If you ever have questions about services or therapies that you would like us to consider, or if you hear/read about something that is intriguing, please let us know! In that same light, we are excited to be offering Dexa scanning, infrared light therapy, and nutrition counseling! Please use the coupons below to help you save on your first sessions for each. Call or visit us today to set up your appointment! Click each link below to be taken to a printable version of a coupon for the service. "I am so thankful to the great people at Integrated Medical Group for their assurance, compassion, and gentleness. It is because of Dr. Thayer and his team that I have regained head and neck mobility after being assured this would never happen by the "traditional" medical professionals with whom I consulted..."
"Words can't even begin to express my gratitude and sincere thanks to Dr. Thayer for helping me to be where I am today. I was walking like a penguin, so out of whack that it was unbearable. With the help of adjustments, acupuncture, ultra sound, and massages, I am no longer walking like a penguin. My body is in better alignment than it was when I first started. I HIGHLY RECOMMEND this man for any kind of chiropractic and pain needs. He's the best!" My life changed 18 years ago when I had an auto accident. The day of the accident my muscles went into a spasm and some of that never seemed to go away. I felt like I was strapped to a board. On bad days, my muscles restricted my motion and breathing to the point that it felt like I was wrapped in duct tape. Some days I felt trapped inside my own body. I felt like the world was closing in on me. Work was a struggle and it was hard to concentrate. I used a lot of energy trying to pretend things weren't that bad and trying to not let it show. My life changed again two weeks later when I underwent MUA. I now feel free again and no longer restricted. It no longer hurts to breath. I can hardly believe how easy it is to move! The range of pain free motion is amazing! I feel much younger and have more energy. All of the sudden, everything seems brighter and I'm more aware of life around me. It seems easier to think and I feel less stress and anxiety. I am no longer living in my own world, but now am a part of the world around me. I'm so grateful that Dr. Thayer is trained in MUA and suggested it to me. I found it comforting that doctors and massage therapists that I already knew and that knew me were the ones performing the procedure. I also found it comforting to know that there were no incisions involved in MUA! Dr. Thayer and his team are wonderful! Come find out what living free of pain can mean for you! Schedule an appointment today! Call us at any of our offices!